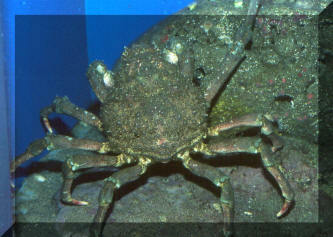 Loxorhynchus grandis Stimpson 1857, the California Sheep Crab. West coast North America. 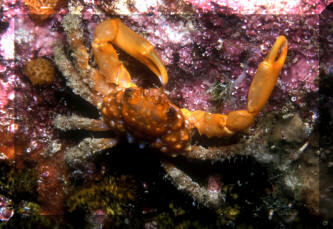 A cool to coldwater animal. This one at the Birch Aquarium is about a foot across. 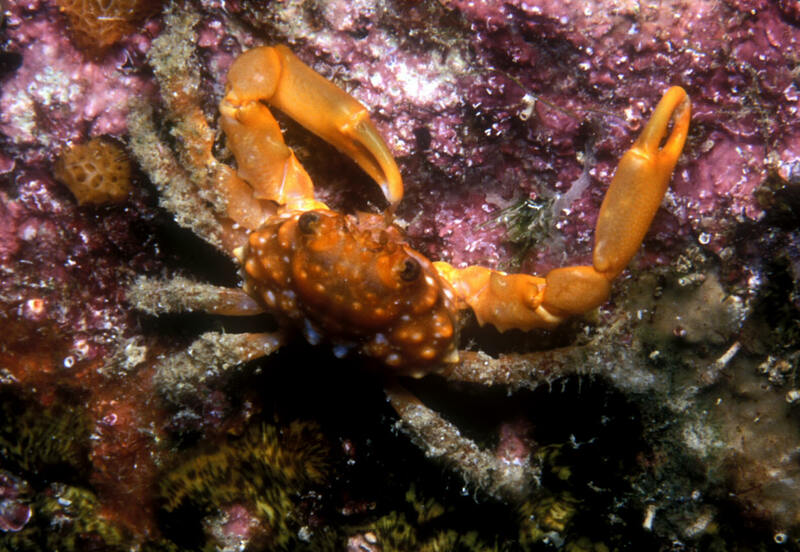 Mithrax forceps, Red-Ridged Clinging Crab. Family Majidae. Tropical west Atlantic. 1/2-1". Here clinging to a piling at night off Bonaire. 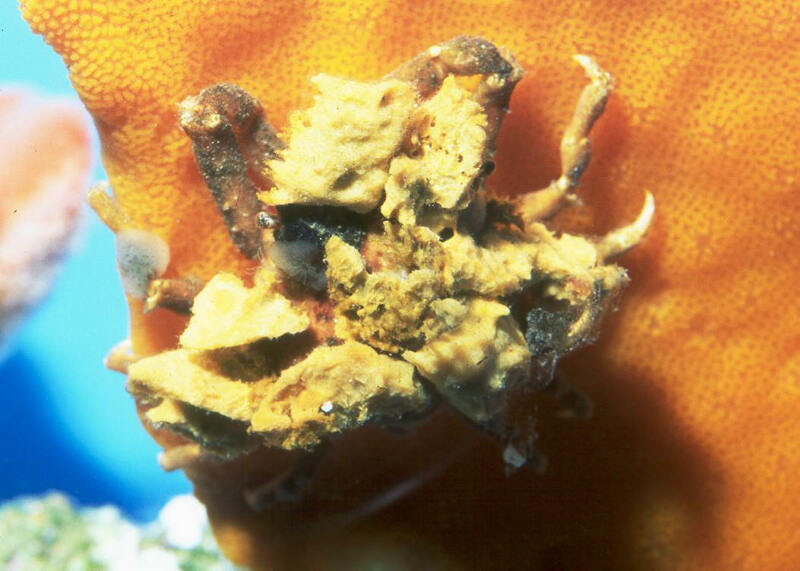 Schizophrys dama, Decorator (Sponge) Crabs. 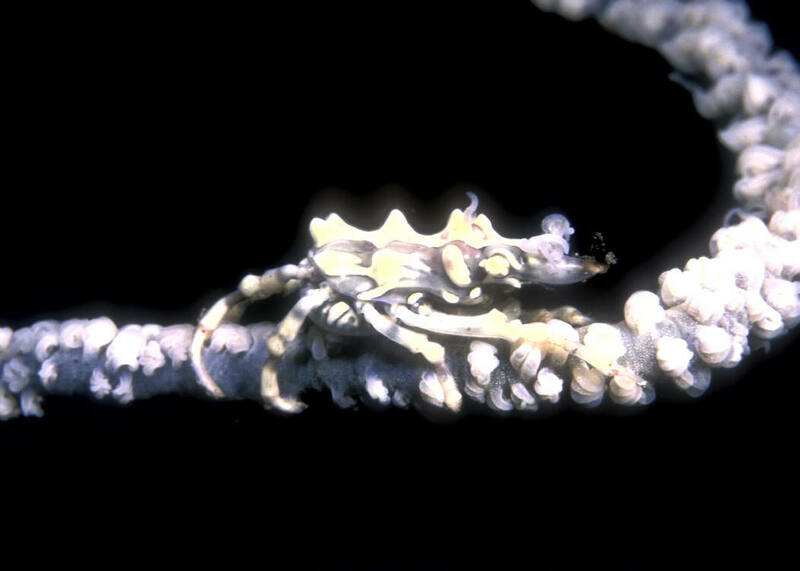 Many other species called, sold by this name. 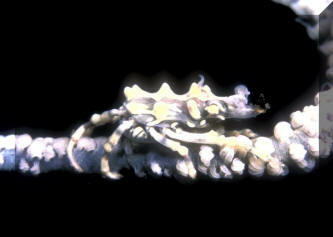 Xenocarcinus tuberculatus N. Sulawesi (Lembeh Strait) pix. 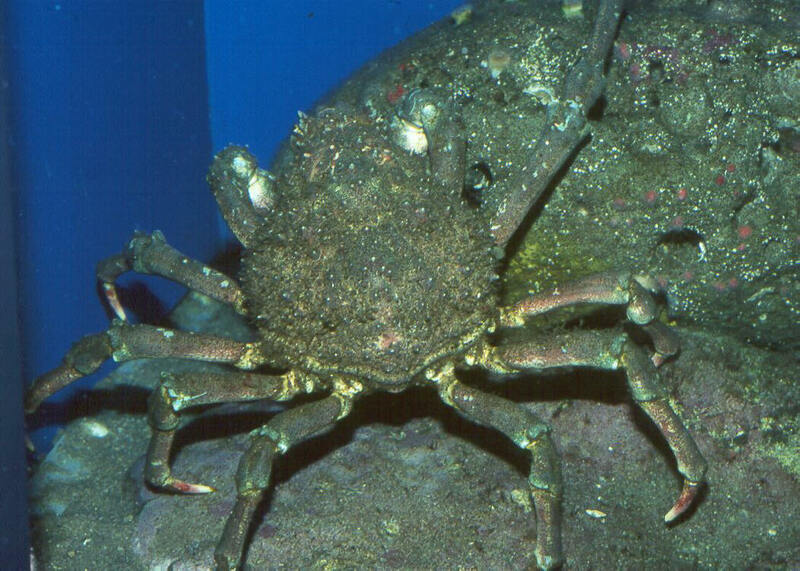 "Xeno Crab". Indo West Pacific; South Africa to Japan. Most always found on whip corals. To 1.5 cm.